After a long wait and dozens of rumours , finally the time can come wherein 5G technology is all set to step-in in 2019 . Initially when internet has launched no one has ever thought that mobile app development industry will grow to this level that we all are experiencing right now . The combination of IoT , AI and Cloud technology is defining the new era in mobile app development and has complete potential to improve in coming years . We can’t presume 5G technology as just as network , its lot more than that . 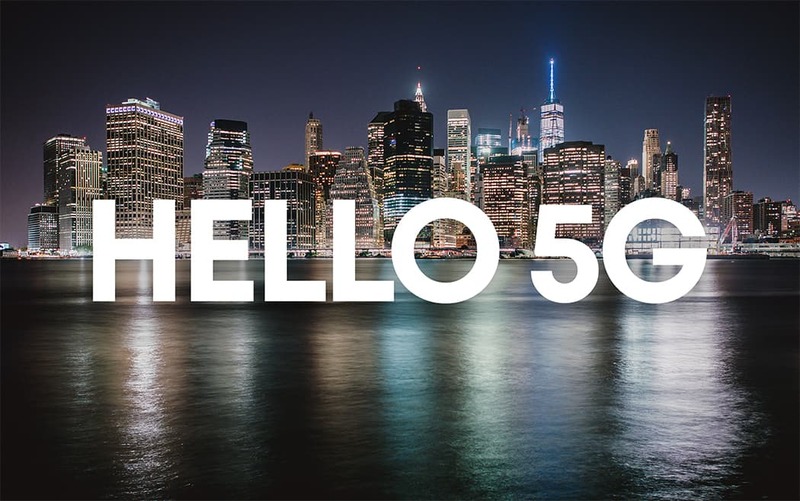 In fact 5G technology will act as a revolution and aids in connecting devices and thereby improving business and mobile app development . How 5G Technology Is Better Than 4G ? How 5G Is Going To Benefit Mobile App Development ? Although the speed of 3G and 4G technology is performing well , but speed sometimes varies from miles to miles .With the step in of 5G technology in the world , it will make easier to perform various tasks . Employees can rely on 5G network to work remotely , also user can download the mobile app in few seconds irrespective of the size of app . Also in the world of entertainment wherein mobile apps like Netflix and Amazon Play is making their place , user retention ratio will increase due to high speed . In short video experience will be taken to next level which playing it on 5G network , thereby enhancing user experience beyond your expectation . Again as it is a very fast network , files can be transferred easily . The download and upload speed in 5G network would be lighting fast that will surely bring new features for transferring files through mobile application . It is expected that 5G technology will have potential of 490 MBPS browsing speed and 100 MBPS download speed which in turn solves many of the problem than mobile app developers might be facing due to low speed internet connection . We all are presently the victim of low response rate in response to our one action in mobile app . With the introduction of 5G technology , the user react time of the app will be carries out fast and will also give enhanced experience on real time . 5G technology is equipped with handling billions of network traffic in one go and at the same time can also process and manage data thereby creating work of opportunities in virtual reality and augmented reality . The 5G networks provides the next level network which is essentially required for manufacturing . Specially when it comes to logistics industry , faster speed and low latency is what they are searching for . Specially in logistics and production industry wherein there is a demand for high bandwidth , connection density and secure connectivity , 5G network has higher flexibility which can deliver high speed in shorter duration of time . 5G will bring whole new opportunity for the doctors to even connect with the patient on ambulance or patient home .On the basis of recent market research future study , telemedicine market is expected to grow at 16.5 % from 2017 to 2023 . One of the foremost reason for this being growing demand in even rural areas for healthcare . 5G network will facilitate you with next level mobile application which can help you to connect and consult with doctor over the phone , and manage medication remotely to better manage chronic ailments . Entertainment industry is going to replace the old age television trend and will soon be totally based on internet to broadcast anything . And online streaming to next level is only possible by technology advancement in networking field such as introduction of 5G network .It will boost media industry on many levels . 5G network will open new doors with wider coverage area on a very high speed . In short we can say that future is bright for mobile app development as well as blessing for mobile app developers which coming of 5G network in 2019 .